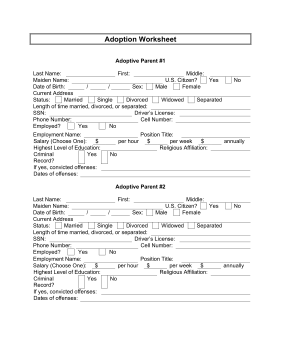 While not an official form, the adoption worksheet is great for potential parents who need to get all their information in one place during the adopting process. It has segments for the adoptive parents, birth parents, children and additional household members. It's appropriate for family law offices.